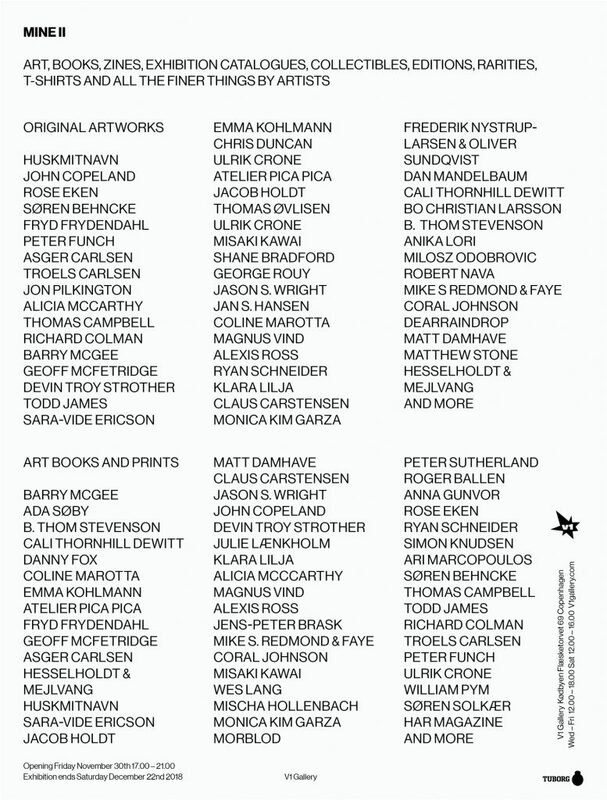 We are pleased to present new art, books, zines, collectibles, t-shirts, prints and more by the artists that we love. 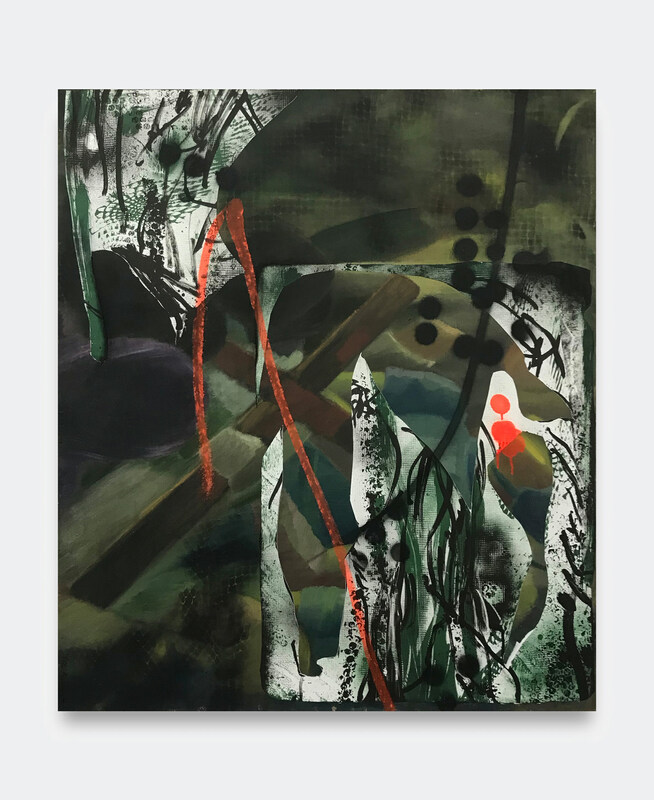 Join us for the opening reception of MINE II at V1 Gallery this Friday, November 30, 5-9pm. 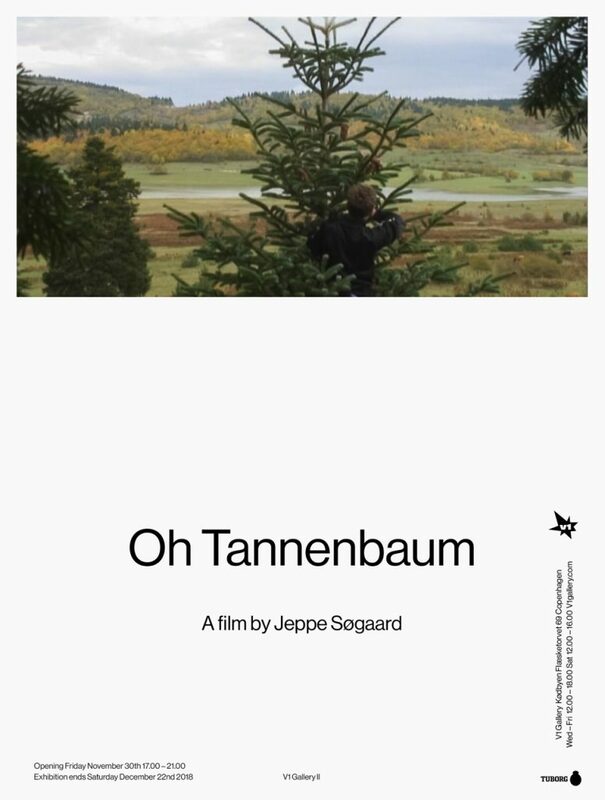 Same night, Jeppe Søgaard will premier his film, Oh Tannenbaum, at V1 Gallery II (the basement cinema). 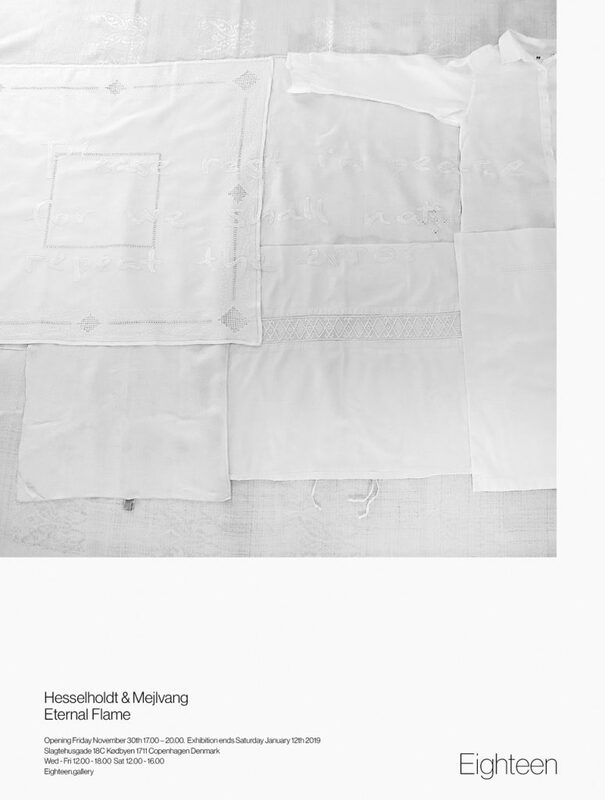 At Eighteen Hesselholdt & Mejlvang will open their exhibition Eternal Flame. An homage to eternal flames around the world.